Your wedding day is the most important day of your life, and searching for the perfect wedding photographer can seem daunting at first, especially when you have a tight budget. But just because you aren’t spending lakhs, doesn’t mean you don’t deserve beautiful memories of the candid moments of your big day. That’s where the TWB Concierge can help. TWB Concierge is a free service provided by a team of dedicated wedding experts who will help you find your vendors based on your budget, handhold you through the booking process and get you the lowest rates ever. 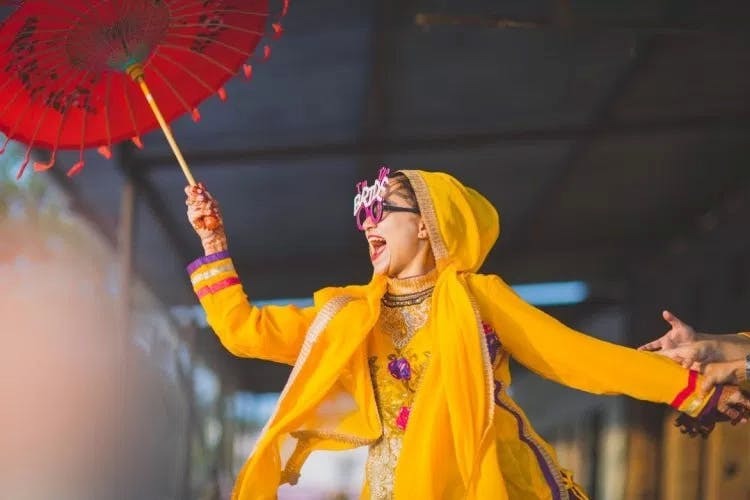 It is only if you book through The Wedding Brigade Concierge that you can avail the services of these six trusted candid photographers in Mumbai for under INR 20,000 per day. You can call TWB Concierge on +91-9820514854 or email on concierge@theweddingbrigade.com. With decades of professional experience in photography, Rajesh Dembla’s (Director of Photography) style is impromptu. He offers a pool of services such as wedding photography, cinematography, wedding film, and pre-wedding shoot. Rajesh does not merely click images through a camera, he believes in not fiddling with reality and keeping the moments untouched. Rhythmic Focus is a wedding photographer duo called Sneha & Saif. Their approach to shooting a couple is minimalist, easy and they specialise in shooting candid moments. The duo is based in Mumbai, but are willing to travel all over India for weddings. From the biggest moment to the smallest detail, 35mm Candids knows exactly how to make sure that each of their images are beautiful and natural, fully capturing the spirit of the day. This passionate photographer lets his photos speak for themselves. With a fresh and innovative approach, Vatsal’s wedding photography captures a couple’s whole story through the lens of his camera. Vatsal Shethia’s aim is not clicking pictures, but he attempts to capture memories. The Wedding Series Production does a great job at capturing your best memories through their candid shots. Their goal is to capture the special moments, and the essence of the person in those moments. From smiles to tears, from hugs to stolen glances and the joyful atmosphere, they make sure not to miss any moment of your wedding. The Knotty Story’s work is a fusion of fine-art and minimalist, playful images. This recommendation was first posted on The Wedding Brigade.